It's never a bad time for a Margarita - is it? Jose Cuervo has just made our lives easier with a line of ready to drink Margaritas! There's no more searching for the Tequila or the lime juice! Everything you need for the perfect margarita is pre-mixed and ready to serve (minus the salt-rimmed glass)! Their new line features a range of sparkling and non-sparkling choices. The Jose Cuervo Ready To Drink Sparkling Margarita line are perfect for a backyard barbecue, camping or a fun pool party! The cans can simply be chilled and are ready to serve guests to get the party started! The Jose Cuervo Ready To Drink Margarita line is perfect to bring as a hostess gift or to serve at your own get together! 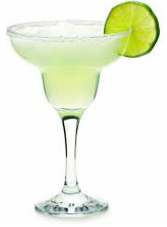 You simply add ice (hide the bottle) and become the perfect bartender serving up delicious Margaritas! The Jose Cuervo Ready To Drink Sparkling Margarita line is available in 4-pack cans and are priced at $7.99*. Flavors in the sparkling Margarita line include Paloma, Classic Lime and Strawberry Lime. The Jose Cuervo Ready To Drink Margarita line is priced at $15.99*. Flavors in this line include Classic, White Peach, Watermelon, Strawberry Lime and Coconut Pineapple.